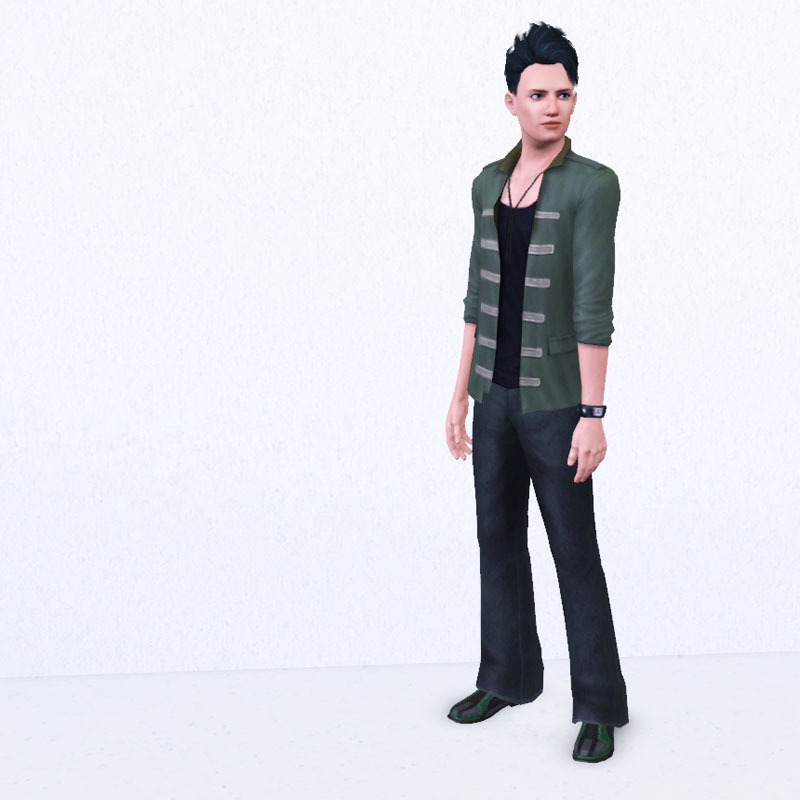 Lance is one of those rare, gifted sims that wakes in the middle of the night with his head full of amazing ideas. When he sings in the shower, people gather outside his bathroom window to listen. Despite this, Lance is usually in his own little world, humming to himself and scribbling down bits of paper while sitting in his pajamas on his front porch. The music in his head follows him everywhere as his constant friend. 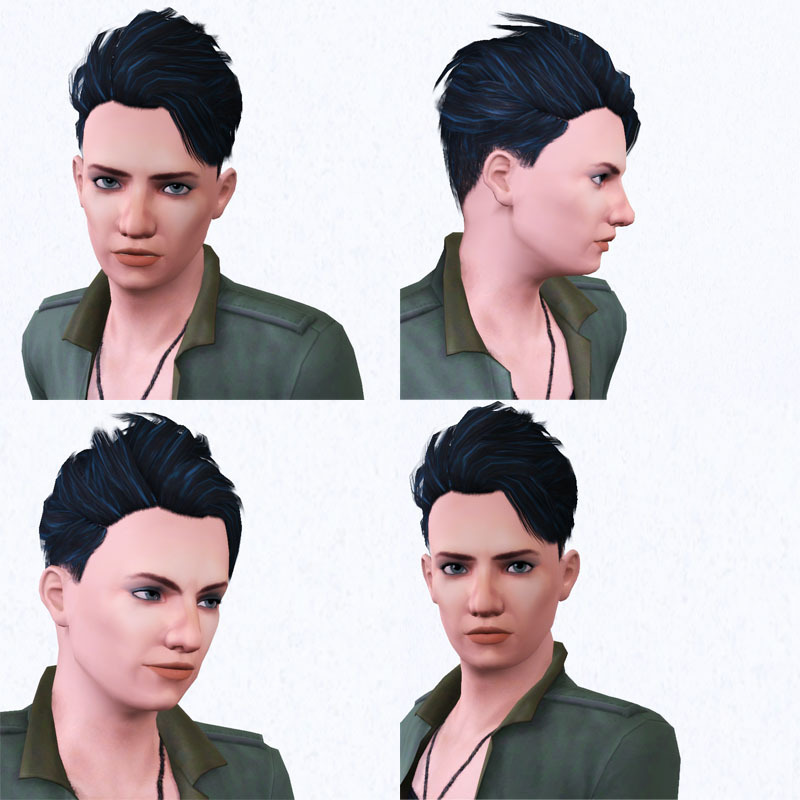 This sim was built completely CC-free, so you don't need to download anything to use him - no custom hair, no custom skin, no sliders, no extended slider range, no custom ANYTHING! He is pictured with vanilla game content (no default replacement eyes, skin, or other textures), so what you see is what you get! You should probably be patched, though. 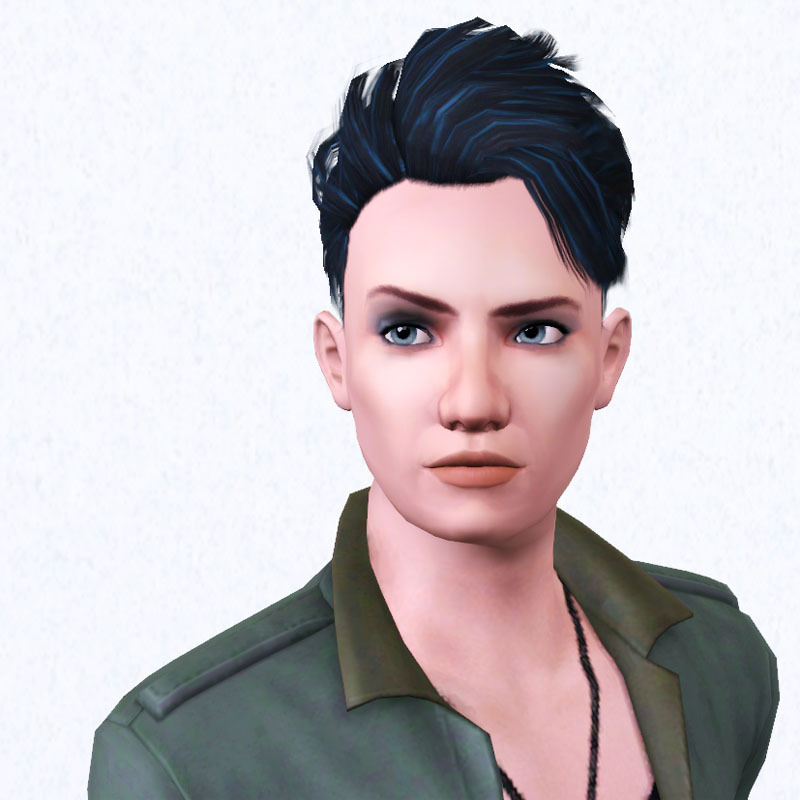 He does use a bit of content from some EPs - Showtime for his hair and shirt, and Late Night and Pets for a couple other items of clothing, but he'll still work fine without those packs with a bit of redressing in CAS.